Food is the best medicine. There are many foods that offer support and healing to the often-overworked liver. Since the liver has over 500 functions, supporting it with healthy liver-healing foods is essential to great overall health. While there are many excellent liver-supporting foods to choose from, here are my top 10 foods for liver health. These purple powerhouses contain a substance known as betaine which improves digestion. One of the liver’s many functions is to aid digestion, particularly fat digestion through the secretion of bile. Enjoy raw beets grated over salads or soups, or steamed or roasted beets in soups and stews, or atop a green salad. 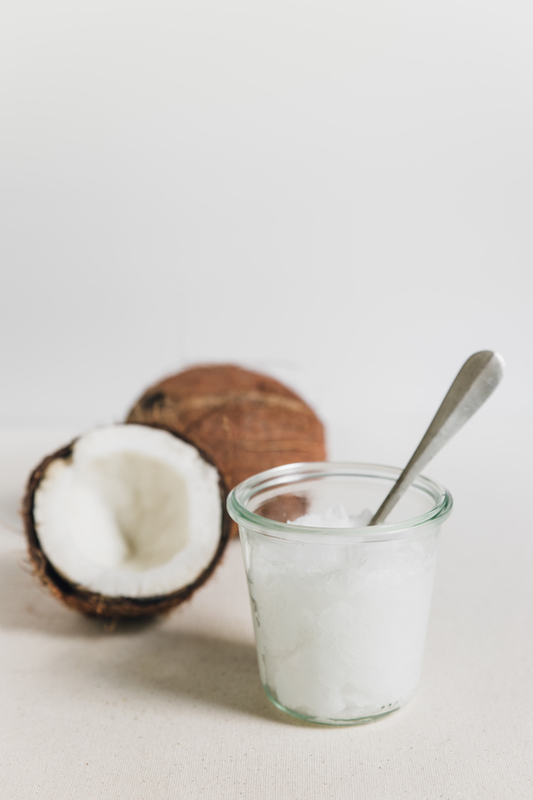 While the American Heart Association (AHA) continues to bill coconut oil as the antichrist, a recent study published in the Journal of the Science of Food and Agriculture found that virgin coconut oil consumption was able to reverse the signs and symptoms of fatty liver disease. A fatty liver is often implicated in abdominal fat, metabolic syndrome and obesity—all of which are frequently involved with heart disease. Cook with coconut oil instead of other cooking oils, but keep the temperature under 325 to prevent smoking and denaturing the oil. Add some roasted dandelion root powder to your next chocolate smoothie for a taste sensation and a serious boost to your liver. Dandelion root boosts liver function and increases the rate of metabolism. It’s also delicious on its own with a cup of almond milk, a handful of raw cashews and a few ice cubes, blended. Flax binds to harmful xenoestrogens—synthetic estrogens that result from plastics and pollution—that damage our own delicate hormonal balance, making it easier for the liver to filter out these toxic substances from our body. Sprinkle flax seeds on cereal, toast, salads or blend into smoothies. Add flax oil to salad dressings, marinades and as a smoothie ingredient. Rich in sulfur compounds, garlic helps to ensure a steady rate of detoxification in the liver. Sulfur compounds also bind to cholesterol and metals, making garlic an excellent food to enjoy on a regular basis if you’re trying to eat for a healthy liver. Better, yet, add fermented garlic to your diet. In a study published in the European Journal of Nutrition, the fermented bulb was found to improve liver function. Leafy greens are nutritional powerhouses that are good for almost everything so it will probably come as no surprise that they are also good for liver health. According to a study published in the medical journal Lipids in Health and Disease, eating more leafy greens has been found to improve the liver’s fatty acid profile, which not only offers liver health benefits and may reduce the risk of a fatty liver, but may also reduce the risk of heart disease. No list of liver-boosting foods would be complete without lemons. That’s because lemons boost the liver’s ability to metabolize glycogen—a source of energy for the body’s many functions. Research in the journal Toxicology Letters demonstrated that numerous compounds found in lemons improved glycogen metabolism in the liver. Korea’s answer to miso, known as Doenjang, has been found in a study published in Biochemical and Biophysical Research Communications to improve various markers of non-alcoholic fatty liver disease. Research published in the medical journal Plant Foods for Human Nutrition shows that regularly eating oats boosts liver health. The study also found that oats reduced abdominal fat and overall obesity in the research participants, which is no surprise when you know that the liver plays an important role in fat digestion and metabolism. While we often think of digestive health when we discuss yogurt, research in the medical journal Food and Function suggests we might also want to consider yogurt’s liver health benefits. That’s because research showed that yogurt with live Lactobacillus paracasei bacteria reduced triglycerides and a fatty liver.